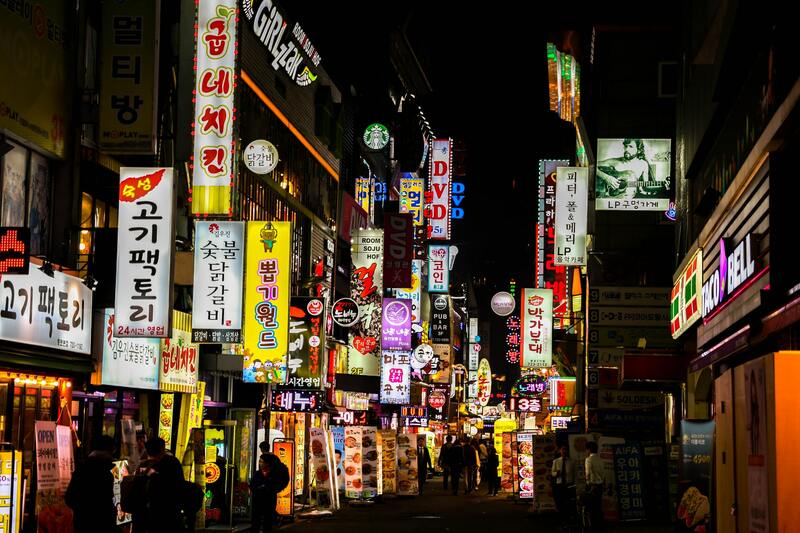 In just over half a century South Korea has developed from a country of chronic poverty to one of the most dynamic industrial economies in the world. This positions the country as a global player in technology in such sectors as cars, semiconductors and telecommunications. Such a considerable increase has been achieved despite limited resources and geopolitical uncertainty. The South Korean performance model is widely praised as worth to be followed, and yet there is a fear that this increase will soon drop. Unless South Korea will manage to change from being a technological follower to becoming a technology innovator. One of the most important roles in the South Korean innovation system is played by the government system that largely affects the functioning of the private sector. The Korean system is deeply rooted in the hierarchical collectivism, where the community is valued more than an individual. The importance of social order over the interactions between individual members of the society is also emphasised. This connection between the government and the private sector in the innovation system brings a great economic impetus – it is easier to achieve social cohesion and direct the society’s energy towards a common goal. This strategy, therefore, seems to be very effective when the goal is known and clearly defined. However, there is also the other side of the coin, namely the tendency of Confucian cultures to suppress new ideas and their unwillingness to take risks, for instance by enforcing sanctions for unsuccessful moves, i.e. the so-called failures or ineffective implementations. This would suggest that the drivers of the success achieved in recent years can now work as an impediment to economic growth. In order to maintain such a high growth rate as before, South Korea must find a way to reconcile Confucian culture with a culture of innovation based on diversity, openness, trust, social interaction and tolerance. The government must redefine its role in the navigation and maintenance of the country’s course towards a creative economy. This seems to be a big challenge currently, for instance due to the values and norms pursued by South Korea, which result from culture, history, politics and the environment. So let’s look at a few of the most-important aspects, the recognition of which is essential while doing business with the representatives of the Korean culture. In South Korea, the concept of “saving face” is very important. “Face” is one of those words that have several synonyms in Korean, adapted to the specific purposes of social discourse. Nattsak, sangpandeks and ssangtong are used when talking about “face” in pejorative sense, while yong-an and jon-an are used to show respect. It seems to be a natural, and logical phenomenon that reading from face – the equivalent of European reading from hand – is one of the ways to predict the future in South Korea. The so-called “face readers” are hired by the Korean market leaders in order, for example, to help them choose the best candidate for the job. And so it happens that such diviners attend the interviews of university graduates applying for a job at prestigious Korean companies. The face and its meaning is a huge topic, which you should explore before starting cooperation with a partner from South Korea. Putting others or ourselves in a difficult situation is avoided at all costs here, hence the Koreans make a huge effort to smooth out or avoid any situations where it’s possible to lose face. Keeping the appearances and courtesy are the greatest good here. The inhabitants of South Korea laugh at funny situations like the representatives of other nations, but the role of laughter here is to mask the feeling of being confused or embarrassed. Hierarchy and cultural fear of “losing the face” is also visible in the operation of major corporations. The largest market players use the services of small agencies, which act on their behalf and in accordance with current needs. These small agencies are created very quickly and equally quickly disappear, because their fate often depends on the success and course of the project. Especially when the business commits “faux pas” (whether intentionally or not), the presence and activity of such an agency is justified – by acting “on behalf of the customer”, it assumes the liability for the resulting unclear or confusing situations for the parties and bears their effects. And so the customer stays flawless and the cultural standard is maintained. “Haze” is also a common practice, that is the introduction of small changes to the company name, as well as shifting names or the scope of activity between sister companies. This usually causes confusion among the European business partners, so it is worth to pay attention to this fact and prepare for the inclusion of relevant paragraphs in the cooperation agreement. Such protection may save the parties many problems, in particular when executing long-term contracts. So how to prepare for a meeting with South Korean partners? When entering into social interaction in Korea, you should remember that you are dealing with a very well developed social hierarchy here, where a wide range of verbal and non-verbal communication elements function, sometimes nuances that are invisible to the representatives of other cultures. During the first meeting, the business partners (and non-business partners) may already ask us many personal questions, e.g. about age, pay, education or family life. What may seem strange to us will help your interlocutor not only to find common features, but also to determine the status of their interlocutor, which means a lot in the business culture of South Korea. In a nutshell, it can be said that this system is based on respect for the elderly, and in business – according to this principle – for persons at a higher position. Another principle that should be followed when doing business with Korea is being introduced (presented) by a third person, instead of by yourself. Although excessive imposition and personal representation is practiced (although this principle has its own laws), in hierarchical South Korea being introduced by a third party guarantees that we and your company will be endowed with higher level of trust. It is expected that business cards will be exchanged at the first meeting. And since the role and the rank in the organization (hierarchy) plays a key role in the Korean business, the business card is crucial – because it confirms the title, which enables the partner to immediately understand the status and rank of the interlocutor. This is essential in Korea, since the South Koreans prefer to talk to a partner holding an equivalent position. When presenting and receiving a business card, use both hands. If it’s not possible for some reason, use your right hand to exchange the business cards, while holding the right elbow with the left hand. In South Korean culture, a business card is an “extension” of the person – you should carefully examine the cardboard box and then place it in front of yourself on the table. Hiding a business card or writing on it is interpreted as a lack of respect in Korea and turned out to be a bad omen for many international partners. When meeting in a group of people, it is advisable to turn to and greet each person individually – bowing at the same time. Shaking hands for a welcome is practiced in business, but here, in accordance with the savoir vivre of South Korea, the hand shall be given by the person of the highest rank. The same principle applies to saying goodbye. It should be remembered that the lower rank person should bow as the first one. Experience shows that it is worth to be polite and always assume that the interlocutor has a higher position. Especially when making first business contacts in Korea, the excess of politeness is well perceived and works better than its shortage. This will probably help while taking the first steps towards establishing good cooperation. Another key to making a good impression on the Korean partner is patience and very attentive and focused listening to them without interrupting. At the same time, good preparation, diligence, inquisitiveness and a high level of detail will be also well received. Well-prepared presentations will certainly be appreciated, especially if they include – depending on the purpose of the meeting – all elements of the proposal, project or previous achievements. And the last, very important element of Korean culture: business works according to the hierarchy scheme here – the role and rank of supervisor is equally undeniable, as what they say. This can be surprising especially for those who work in egalitarian organizations or in organizations where the culture of discourse is highly valued. Korean culture conceals a lot of nuances, and they will have a significant influence on whether you will be perceived as a reliable partner for cooperation. In order to learn the principles of South Korean culture and prepare for this very interesting and inspiring adventure, it is worth to invest all possible resources to prepare well for the meeting, so that it goes in line with your expectations and brings the intended results.